This guidebook details the wealth of great flyfishing in Big Sky Country. 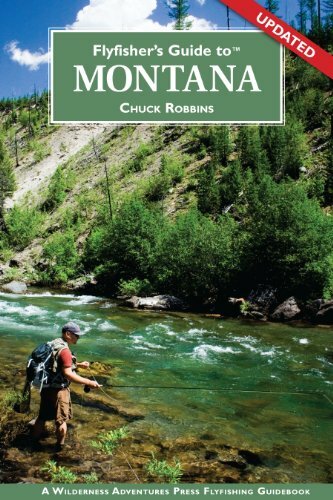 From major rivers like the famed Madison, Big Horn, Yellowstone, Ruby, Missouri, Big Hole, Madison, Clark's Fork, and Rock Creek to the smallest fishable creeks and lakes, veteran flyfisher and guide Chuck Robbins tells anglers everything they need to know about Montana s best fisheries. He describes in detail each water with stream facts and how and when to fish it. He recommends his favorite flies for each water. He also takes readers off the beaten path to high-country lakes, where many of the fish have never seen a fly. In addition, Chuck also the spring creeks and the great hidden fishing gems in eastern Montana. There are over 100 detailed fishing maps of the waters, as well as hatch charts and a complete listing of travel information, including fly shops, guides, lodges, accommodations, airports, boat rentals, restaurants, and more. Start planning your next flyfishing trip to Montana with this great book. Now with color fly plates! Chuck Robbins is a freelance writer and photographer who hangs his hat in Dillon, Montana. A lifelong flyfisher and Montana flyfishing guide, Robbins has traveled and fished all across the Big Sky Country. He is also the author of On the Fly Guide to the Northern Rockies, and Great Places Montana.